Traditional Aboriginal games have many benefits and enjoy growing interest. Here's a collection and brief description of many traditional games. Traditional Aboriginal games were almost lost after colonisation. Today extensive consultation with Aboriginal elders is necessary to re-establish the traditional Aboriginal games and their rules. They are now creatively adapted—for safety reasons—by using tennis balls instead of spears and soft pool noodles instead of waddies (Aboriginal heavy-wood war club) . Traditional Aboriginal games are inclusive games and not competitive. For example, if a player gets 'out' in some games they can immediately rejoin the game once leaving the field . 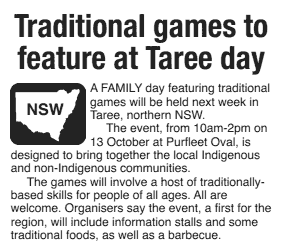 Traditional Aboriginal games are not dead as this newspaper article shows, but a feature of an Aboriginal family day . Many Aboriginal people see the traditional Indigenous games as a strong indicator that their culture can survive. In this way traditional games are not only helping Aboriginal youth to get physically fit but also inspiring older members of the Indigenous community. Traditional Aboriginal games were not only played by children. Some games involved only men and boys, even old men, while in other games everyone was allowed to participate. Watch this video to learn how some traditional games prepared hunters while others were simply entertaining. This Aboriginal game was set up to enhance both a spear-thrower's accuracy and distance. Points are awarded on both bases, with the target throws making for a particularly entertaining contest. Battendi was played in areas of South Australia. A traditional Indigenous game where two men hold a long rope at each end to swing it. When it is in full swing in goes the skipper and performs several activities while skipping. A game where a ball, made of sewn-up kangaroo skin, is thrown in the air. Whoever catches it goes with all of their totem group into a group in the middle, the others are circling around. The ball is thrown into the air until one of the circle outside catches it. Then both groups change positions. The totem keeping it longest wins. A game about come-back boomerang throwing. The boomerang which returns closest wins. A traditional wrestling game. Bodies are greased to make them slippery, then family clans compete against each other. The side that finally throws the most men wins. A game in which Aboriginal boys and men throw or roll a small object (a tennis ball or a disc) along a line at a moving target. Players are required to try and strike the moving object with spears from a distance of about 15m to score points for their team. This kind of game has historical references to hunting wildlife and helped children learn accuracy of the eye and speed in casting the spear, improving physical fitness and focus. It appears to be common to Western Australia and Victoria. Players in this Aboriginal game throw boodthuls, or miniature war clubs, towards a bush. The clubs have to skim through the top of the bush which accelerates them beyond the bush. Winner is whose boodthul travelled furthest. In this traditional game from the Torres Strait a number of players stood in a circle and sang the 'kai wed' (ball song) as they hit a ball and tried to keep it up in the air with the palm of one hand at a time. This Indigenous game was played using the thick, oval, deep red fruit of the kai tree which is quite light when dry. A traditional Indigenous game where men used a throwing stick ('woomera') to project a big killing spear ('kalq') towards the next player. They used their woomeras to deflect the spear to the next player. 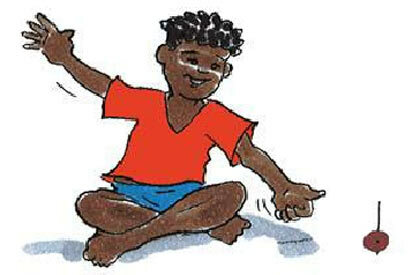 Boys used spears with blunted ends when they played this game. The game is traditional to the Cape York Peninsula in North Queensland. A game in which competitors throw a large animal bone with twine attached to it (acting like a comet ball) over a net into a pit or hole. The aim was for the bone and twine not to touch the net which required great skill and prepared for hunting. North Queensland was home to this traditional game. A keep-away game of catch ball played by both genders. The game was also called the 'kangaroo-play' because the players jumping up to catch the ball resembled the movements of a kangaroo. Keentan was known by the Kalkadoon nation in north-west central districts of Queensland. An object throwing game using beans of the Kolap tree. Common on Mer Island in the Torres Strait late last century. A traditional hockey type game using a small ball ('kokan') played on a long stretch of sandy beach. The ball was struck with a bat or club made from bamboo. A popular game in many areas of the Torres Strait and Papua and New Guinea where various types of this game were known. A ball throwing and hitting game traditionally played by Aboriginal people in the Lake Eyre district of South Australia. The balls were made of any material that could be easily worked and had the size of bowling balls. Two teams lined up on opposite ends of a dry claypan rolling their balls to the other end and trying to break the other team's balls. This traditional Aboriginal game ended when almost all balls were used and takes its name from the word 'kolchee' for the balls. A traditional game from the Gunditjmara people in Victoria. The name comes from a corroboree by the Djabwurrung and Jardwadjali clans in Victoria's Western District . Marngrook is said to be the Aboriginal game that provided the first lawmakers of football with some of the fundamentals of the game millions know and love as Australian Rules (Aussie Rules) Football , a view which is not totally undisputed. 'Marngrook' means 'Game Ball'. The National Indigenous Television (NITV) turned the radio program The Marngrook Footy Show into a TV show in 2007. The show came to be due to a lack of Indigenous people in any of the other football shows. Jim Poulter wrote the book Marn-Grook, Original Australian Rules in 1985. In Mer Kai a ball is kept in the air for as long as possible, similar to hacky sack. A running game children of Arnhem Land in northern Australia played in the flickering lights from the firebrands of the grown-ups sitting about a camp site. tennis ball. This is a kicking and hand passing game. Puloga was played in the Cardwell and Tully River regions of North Queensland and is played like dodge ball. A keepings-off style of game traditionally played throughout Australia. Players prevent themselves from being tagged while in possession of a ball which can vary in size but is normally made of bound animal skin with either grass or charcoal filling. The game doesn't have a point system, but is more of an engaging game aimed to enhance life skills. Purlja is a game like football that the Warlpiri Aboriginal people (north-west of Alice Springs) played for thousands of years. A mock combat game like 'poison ball' or 'brandy'. Toy spears made from grasses, reeds and rushes were thrown, sometimes with a toy throwing stick (woomera). This traditional Aboriginal game was played by both girls and boys. Children collected the seed heads of the spring rolling grass (Spinifex) and took them to the beach where they tossed them into the air. The wind blew them along and the children tried to catch them running at full speed. A common game on Bathurst Island, 100 kms north-west of Darwin in the Northern Territory. This traditional game was played by girls only. A short piece of stick was placed on the ground to represent a baby. Each girl had to defend her child from the digging sticks of the other girls who pretended to try to kill the baby by throwing the sticks at the 'mother'. The mother tried to fend them off using her own digging stick ('wana'). Wana taught girls to defend their young children. Sometimes adult women stood by the side of their men to ward off the attack of a rival tribe. This traditional game was known in Western Australia. A stone bowling game where one player threw a stone which was then used as a target by the next player. Players alternated turns. This traditional game was known to the Walbiri people of Central Australia. The popular hide and seek game was also known to Aboriginal people. A fireside game. Each player warmed a dry Coolabah leaf until it bent a little, then hit it into the hot current of air of a fire. Winner is whose leaf travelled highest. 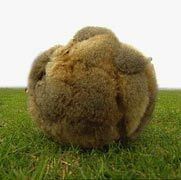 A traditional kind of football game that involved ball made of possum fur. The ball was spun by the women and only about five centimetres in diameter. The game trained agility and required suppleness of limbs. A traditional game of hand hitting or handball played with a zamia (Cycas media) seed by the people of Bathurst Island in northern Australia. In the Meda district of north-western Australia players used flat pieces of wood. A sort of sham trial fight. One man has a bark shield, and he has to defend himself with it from the bark toy boomerangs the others throw. A traditional aiming or accuracy game. The general idea is to aim a spear at a moving target which could be pieces of wood or bark placed in running water. In modern versions competitors throw tennis balls at a moving tyre. The game was recorded being played by the boys at Ulladulla in New South Wales. The resource gives the background to each of the games recorded along with any equipment needed, variations and teaching points. Download Yulunga—Traditional Indigenous Games from the Australian Sports Commission website.